There are over 1,100 family run chicken farms across the province. They work hard every day to provide Ontario with fresh, healthy, local product. Through the CFO Cares Food Bank Donation Program, chicken farmers are making sure that all of Ontario’s families have the chance to enjoy this high quality, nutritious product. 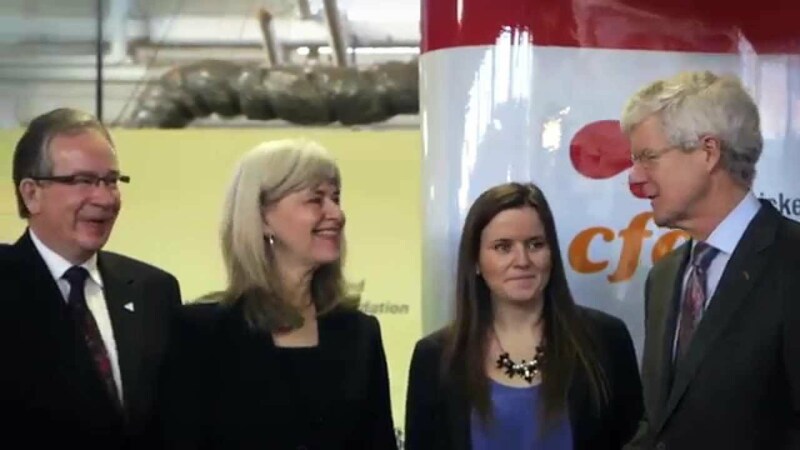 Launched in 2015, the CFO Cares Food Bank Donation Program is a collaborative initiative thanks to the generous support of the Chicken Farmers of Ontario. This program provides farmers the opportunity to donate up to 300 chickens every single year to the Ontario food bank network. Since the launch, over 250 Ontario farmers have donated into the program providing over 400,000 servings of fresh, healthy chicken to Ontarians in need!